Since the beginnings of time, full moons have been associated with paranormal activity. to the added gravitational pull on the earth, and on us, during a full moon. Scientists scoff at all three of these theories, saying that the effects, whatever they might be, are not strong enough to affect us in any measurable way. That seems a bit too easy, as the full moon has been associated with paranormal and supernatural occurrences since the beginning of time. It could be that a combination of the above, or something not even thought of yet, is responsible. 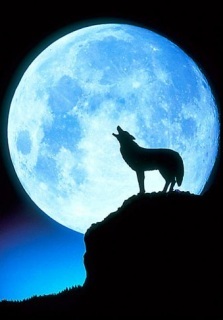 Yet, there is almost indisputable proof that the full moon is related to an increase in paranormal phenomena. and a historic cemetery (the oldest on the North Shore) complete with resident ghosts. Will you feel the chill of electricity running up your spine, and a spirit passing through you, on this night? Sydney Ghost Tours will be running the Full Moon Ghost Tours starting at 8.15pm, and 11.15pm,(minimum group size of 15 required for the graveyard shift to run.) The tour begins on the corner of Miller and Amherst Streets in Cammeray, in front of Cammeray Square shopping centre opposite the Wild Sage restaurant. Numbers are limited, bookings are essential and can be made on 8197 0363, or by clicking here!